Earn $26.99 in Rewards credit. Click to learn more. 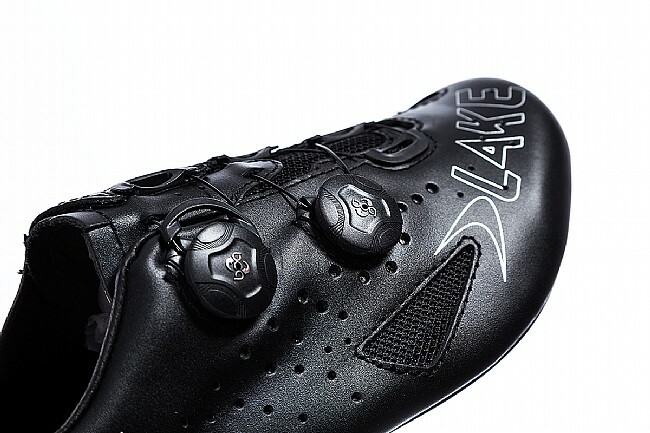 Lake’s CX 237 Wide Road Shoe is designed to accommodate wider feet, featuring an additional 15mm of volume at the ball of the foot and a narrower heel, ensuring a comfortable yet anchored fit that can support your feet during the rigors of high-performance riding and racing. 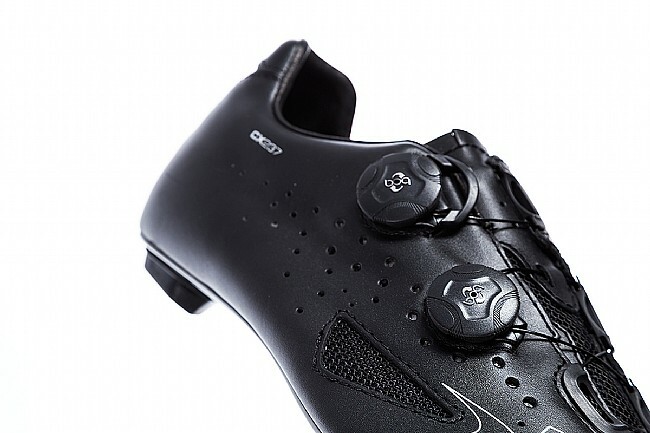 The carbon fiber outsole with Mountain Race X real rubber allows you to drive straight through the bottom of the shoes and into the pedals, for a more efficient and effective transfer of power. A blend of mesh and full-grain leather constitutes the upper, providing a snug fit and optimal ventilation. Equipped with micro-adjustable dual push/pull BOA closures, you can fine-tune your fit at the heel and forefoot for a glove-like feel that won’t obstruct blood flow. 15mm wider than regular width CX237. Full-grain leather & mesh upper. Closure: Dual push/pull BOA L5 lacing with releasable lace guides. 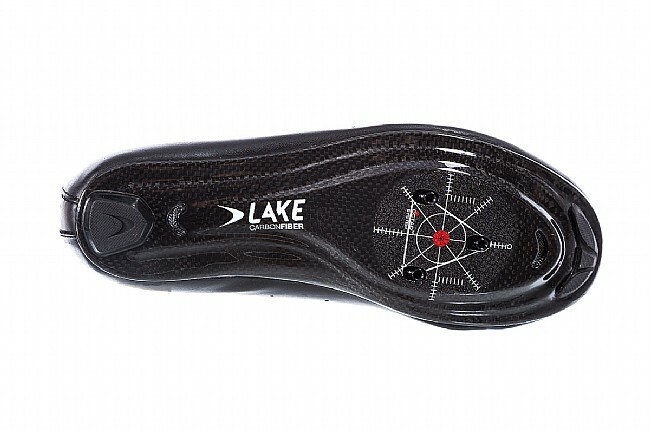 Outsole: Lake Race 100% carbon fiber with Mountain Race X real rubber. great shoes, from sole to upper. lots of foot volume if you need it. and solid retention with twin boas and sole strength too. not like a rock, but far from a sponge. sweet dogs for keeping in front of the pack. This is my second time buying this exact shoe. 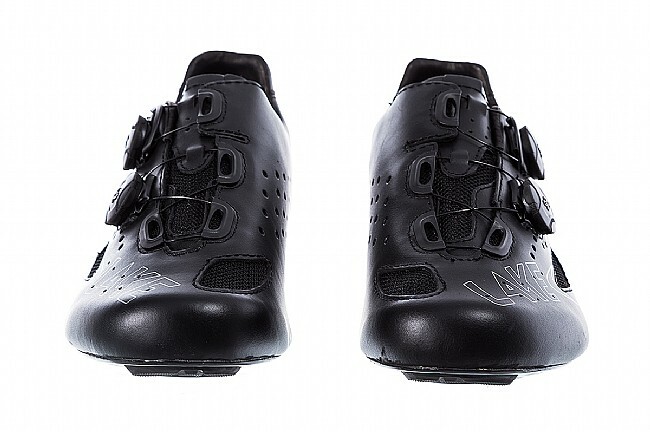 The leather upper is very high quality and breaks in after a few good rides. 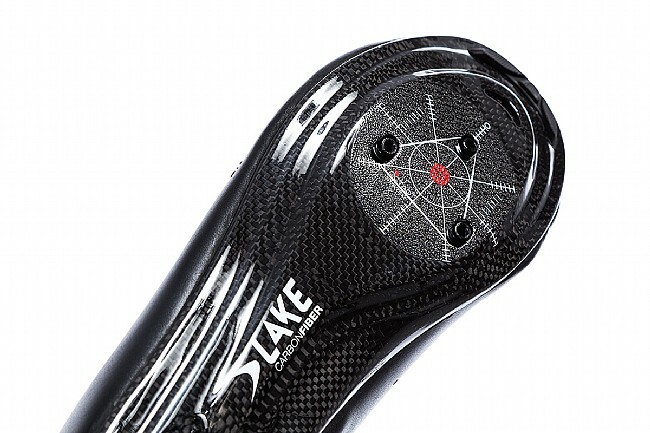 The carbon sole is incredibly stiff, making for great power transfer. They've updated the BOA from the last version, introducing the two-way BOA knob, so you can make micro adjustments to tighten and loosen now. 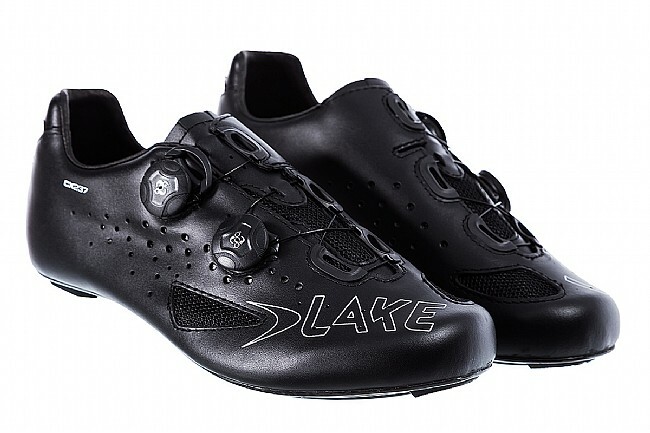 I bought a pair of Lake CX 236 Road shoes at Nashbar a few years back because they had great reviews, were carbon soled, had a single Boa closure and were around $100 on sale. They were good shoes, but I could only wear them for about 4 hours before my feet started killing me because they were normal width. Over the years I tried to upgrade to to the wider shoes but could never find them in stock in the US and on sale (cause I'm thrifty). Well imagine my surprise when I got a promo email from WBW. They not only had the Lakes in the wide width, but they were the upgraded CX237 with the double Boa closure system and they were on sale! I will say that they seemed a little stiffer than I remember my old ones being when new but after about a month of riding they are getting really comfy. The width is perfect but you may need to provide some arch support insoles if you have a high arch like me. One of my favorite features of the shoes is the fine tuning allowed with the Boa system. Quick on, quick off and easy mid-ride adjustment. I love these shoes. I was concerned about trying them out but they are brilliant. The boa allows complete snug and comfortable fit. I had ordered a different pair of wide shoes and returned them with an incredibly quick refund. 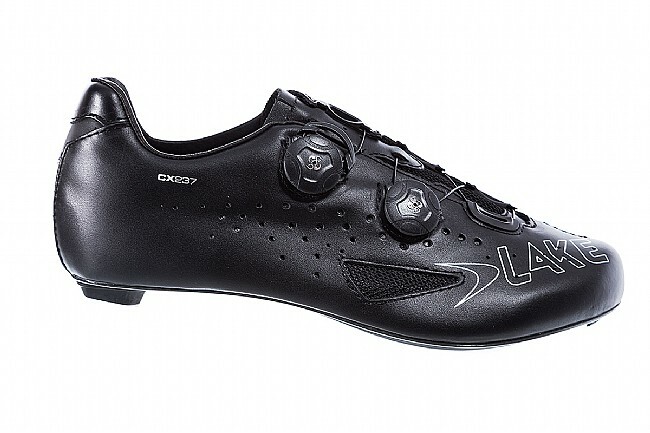 The leather upper has a forgiving feel, but I wouldnt want to ride in the rain with this shoe. Overall, I really like this shoe. It eliminated my forefoot pain.